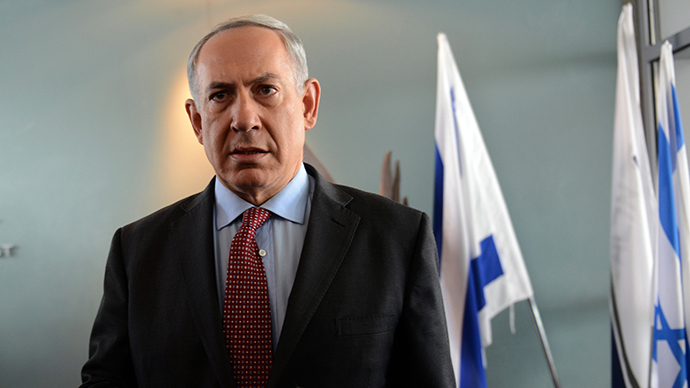 Netanyahu condemned the deal at a cabinet meeting on Sunday and said the world has become a more dangerous place. Israel has never publicly acknowledged that it has nuclear weapons, but is widely believed to be the only power possessing the atomic bomb in the Middle East. 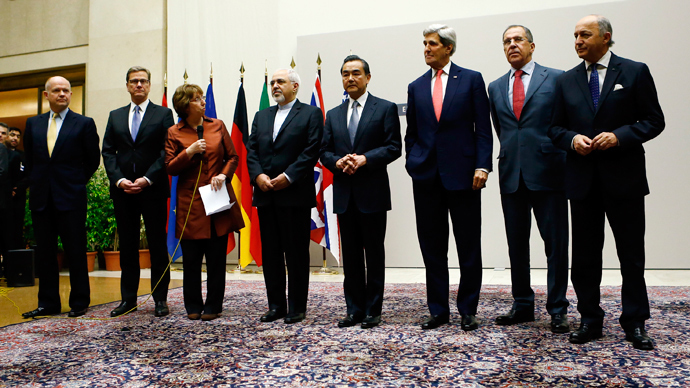 It has consistently called on the international community to strip Iran of its nuclear enrichment capabilities. 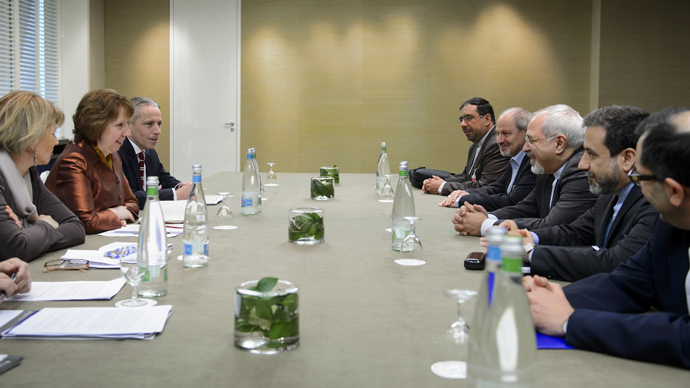 Israeli Foreign Minister Avigdor Lieberman told Sunday’s Cabinet meeting that the Geneva accord was Tehran’s “greatest diplomatic triumph” since the Islamic Revolution of 1979. US President Barack Obama spoke by phone with Netanyahu on Sunday to address Israel’s concerns about the Iran nuclear deal, the White House announced. "Consistent with our commitment to consult closely with our Israeli friends, the President told the Prime Minister that he wants the United States and Israel to begin consultations immediately regarding our effort to negotiate a comprehensive solution," White House spokesman Josh Earnest said. "The President underscored that the United States will remain firm in our commitment to Israel which has good reason to be skeptical about Iran's intentions." Earlier on Sunday, US Secretary of State John Kerry said that the deal between Iran and major world powers would make it more difficult for Iran to make a dash to build a nuclear weapon, and would make Israel and other American allies safer. 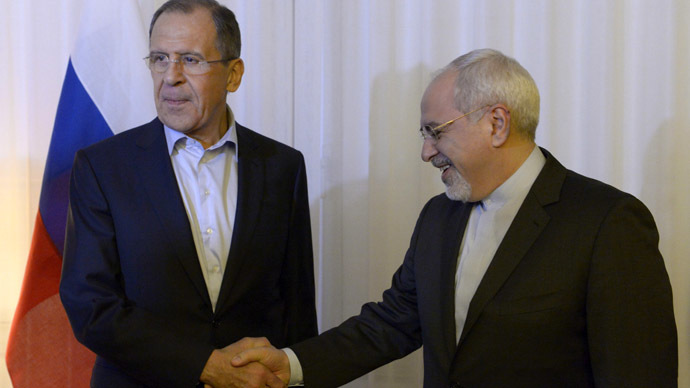 Under the deal struck on Sunday night by the P5+1, Iran agreed to freeze its nuclear program for the next 6 months and cease construction work on the Arak reactor. In addition, Tehran agreed to stop enriching uranium beyond 5 per cent in a bid to allay fears it seeks to construct a nuclear bomb. In return sanctions on Tehran’s economy will be lightened, allowing Iran access to $4.2 billion in funds frozen as part of the financial sanctions. A foreign policy adviser to the Saudi Arabian government, speaking to Reuters on condition of anonymity, said that Sunni Arab states do not welcome the Geneva nuclear deal. So far, Riyadh has made no official response. Just hours before the Geneva deal was signed, the rulers of Saudi Arabia, Qatar and Kuwait met late Saturday night to discuss “issues of interest to the three nations,” Reuters reported. Abdullah al-Askar , the chairman of Saudi Arabia's Shura Council, an advisory body to King Abdullah, said that Tehran had “an ugly agenda in the region” and expressed concern that Iran could seek to gain the upper hand in regional politics in return for mothballing its nuclear program. “No one in the region will sleep and assume things are going smoothly,” al-Askar said. Intelligence Minister Yuval Steinitz, in charge of monitoring Iran's nuclear program, has said there is no reason for the world to be celebrating. He says the deal that was reached in Geneva on Sunday is based on "Iranian deception and self-delusion."